Wood kilns may be used to draw moisture out of firewood. A wood kiln is a heated chamber that is used to draw moisture out of wood so that it can be used for construction, industry, or firewood. Green lumber, for example, is a kind of lumber that has been cut from a recently felled tree. The wood has not had time to season and, therefore, the lumber is not yet ready for use in construction. Firewood also must be either seasoned or dried in wood kilns before it can be properly used for campfires or fires in fireplaces. By treating green lumber in wood kilns, the moisture is drawn out so that the lumber will not warp or buckle during or shortly after construction. There have been a number of advances in the technology used in wood kilns, which means that there are now a number of different types of wood kilns. In addition to the conventional variety of wood kilns, there are also wood kilns that use solar energy and other that use radio frequency to dry the wood. Dehumidification and vacuum technologies are also used in wood kilns. There are a number of factors that affect the length of time that it takes to dry wood. The key factors are the type of wood that is being dried and the type of wood kilns that are being used to dry it. There are some types of wood, for example, that can be properly dried in less than a day when they are treated in the right kind of kilns. There are others, however, that can take nearly a month to dry. This all depends on the type of wood that is being dried, its moisture content, and the temperature at which the wood must be dried. Another factor that defines how long it takes to dry wood is the temperature that the wood can withstand, a factor that varies among species. Some woods, especially those in the softwood variety, can withstand wood kiln temperatures that reach as high as 240 degrees Fahrenheit (about 116 degrees Celsius). Hardwood varieties, on the other hand, are usually dried at temperatures at or below 180 degrees Fahrenheit (about 82 degrees Celsius). There are some varieties of wood that are especially difficult to dry and must be treated at relatively low temperatures in wood kilns. These sorts of woods may have to be dried at temperatures closer to 140 degree Fahrenheit (about 60 degrees Celsius). What is a Rotary Kiln? 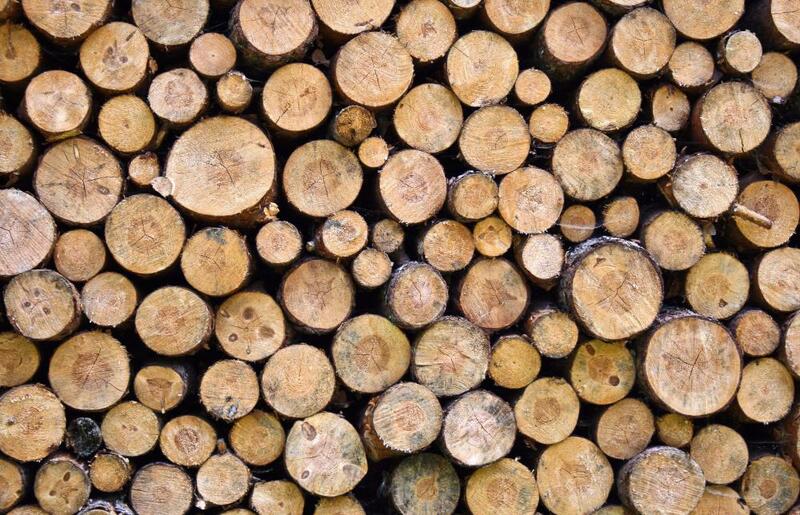 What are Kiln Dried Logs? What is Kiln Dried Wood? What is a Firewood Kiln? What Should I Consider When Buying a Used Kiln?